A relationship with a supplier should not be viewed as an “us and them” scenario. It is much more productive for all parties to see your relationship as a collaborative one as you both want the supply chain process to be as smooth as possible and the best way to achieve this is to work closely alongside one another. 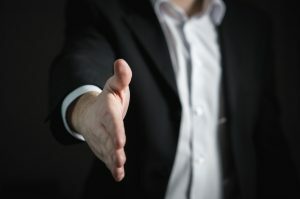 So, how do you go about establishing a collaborative relationship with a supplier? There are a few effective methods for doing this, but it can take some time and effort to get on the same page and to optimize the process. First, it is helpful to come together with your supplier to develop a joint strategy. All businesses have different outlooks and approaches to working which can make integration a challenge, but if you sit down together, you can outline a vision and strategy for success which is beneficial for both parties. Although it is important to work together to have a joint vision, you also need to make it clear to your supplier what your exact needs are which can be outlined in a service level agreement (SLA). Show this to your supplier and work through it together so that you can come up with solutions to any issues that there may be. Communication is, of course, vital to any kind of collaboration. Positive relationships should be forged between key figures so that communication can be clear, concise and honest, whether this is during a face-to-face meeting, a phone conversation or an email. It is important that all parties along the supply chain are kept in the loop with important information about the business or supply chain, so make regular communication an important factor. Advances in technology have made supplier collaboration easier than ever. Companies like Omnia Ecommerce supply superb SAP supplier portals which can make collaboration incredibly easy. Technology now makes it possible to manage supply chain processes in real time, where businesses can work closely with their suppliers to streamline the operation before said product is then delivered to the customer or client. This means that the final product delivered to the final customer is done so with maximum speed and efficiency, due to a streamlined process along the entire supply chain. This can be of great use for you and your supplier, and help you both to achieve your goals. Performance reviews are a good opportunity for you to come together to make sure that both businesses are on the same page and so that any issues can be dealt with in a productive setting and without emotion attached. It is worth establishing long-term goals with your supplier and to understand that it can take some time for a collaborative effort to be fruitful. When two businesses collaborate, there will always be a few hurdles and issues to overcome, but if you believe in your supplier and are willing to put the work in then, it can be a beneficial relationship for both parties. Supplier collaboration is vital for success, but it can be difficult to establish a productive and positive working relationship with another business. It is important to come together to determine the best possible way of working together and to communicate, and rely on technology to make sure that your goals are being achieved. CSIX Event Evaluations Summary Report Speaker: Kimberly Wiefling Presentation Topic: Leading from Any Chair – Leadership is Not a Position or a Title Date: Thursday, 2015-12-17 10:00:00 am – 1:00 pm Location: Saratoga Federated Church, Saratoga, CA Rating out of possible 10: 9.55 Do you feel enough material was covered? Yes = 22; No = 0 What was missing: Needed 2 hours or more!